Bought 2 of them and received them yesterday...Ive installed the first one to work with my hpi tf-40 tx-rx...and worked as it should. so,installed the other one to work with Tactic TTX300 and...its a nogo for this one. so i suspected a faulty unit....Ive tried the unit connecting it on the hpi rx and,its working just like the other one. is there a way to programm these boxes ? How the hell do we program those ? There must be a way dont you think ? and whi is it working on some tx/rx and will not on others ? Is it signal strenght ? 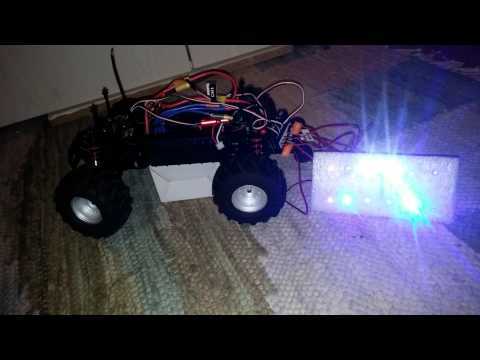 the KASOTEK RC Car Smart LED Light System II looks exactly the same...is it rebranded ?...Who's the real manufacturer of this so i can have real answers ? is it the signal going through the wires ? Read above again. The Tactic radios have compatibility issues with SOME things. Your LED switch might be one of them that is incompatible with whatever gets sent to it from the Tactic RX. Nothing 'wrong' with the radio in itself for use, but it has issues as you are finding out.